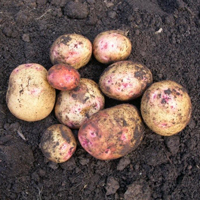 Due to its vigorous growth habit, Cara is a good potato for weed control. Good disease resistance, high yielding. 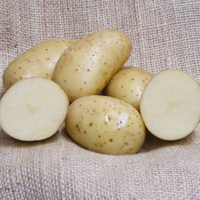 Attractive white tubers with red eyes; stores well; mild flavoured creamy flesh, good baked or roasted. 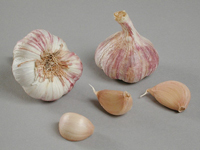 Maincrop  mainly white skin with some pink; white flesh. 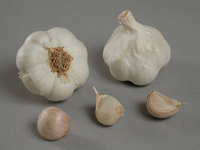 Lady Balfour is a very high yielding organic variety with exceptional vigour under low fertility conditions. Dormancy is extremely long, allowing long-term storage. 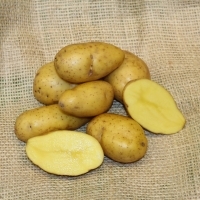 Resistant to late blight on tubers, powdery scab, blackleg and potato virus Yo.